we will be having a 7 day SE-5 training seminar in Bali, Indonesia. It will be at our heavenly retreat center ( www.bali-shangrila.com ) and will be taught in English with Chinese translation available. I will be co-teaching with Jan van der Est from Holland of the Institute of Light Therapy. We will be exploring a whole new direction of applying the SE-5 1000. The results have been amazing! You will be learning about the Miracle Meridian and how it plays the central role in healing based on Chinese Medicine. But we will also explore the relationship between the physical body and the informational body and how similar they are. We will learn how colors can be utilized with balancing for extreme effects. The class will be divided into two parts. The first part will be taught mostly by me and the second part will be taught by Jan van der Est from Holland. 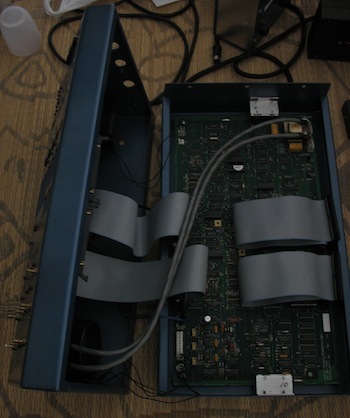 Part one will be more focused on theory and practice with the SE-5 1000 for personal use (and family etc.) and part two will be more focused on using the SE-5 1000 in a clinic. Basic analysis and balancing procedures. Questions and Answers will be mixed in throughout the seminar.